Honour a physician, nurse, health care team member, or volunteer for exceptional care you or a loved one received. Did a doctor, nurse, or staff member make a difference in your care or the care of a loved one at The Ottawa Hospital? Our Guardian Angel Program is a thoughtful way to say thank you to the caregivers who go above and beyond to provide our patients with extraordinary care, every day. Honour a caregiver who made a positive impact on your experience by giving a gift and sending a message to let him or her know that the special care given did not go unnoticed. Your Guardian Angel will receive a custom-crafted angel pin to proudly wear on his or her lapel, signifying to others that they deliver compassionate care to patients at The Ottawa Hospital. We’ll also send your angel a letter with a special quote from you as to why they’re being honoured (unless you would like to remain anonymous). Your message of appreciation will also be shared with your honouree’s supervisor and his or her professional colleagues. The denomination of your gift will be kept confidential. The Guardian Angel Program gives you and The Ottawa Hospital the opportunity to improve health care and transform lives. Your generous donation will help us to purchase life-saving equipment, enhance patient care areas, and fund vital medical research that will lead to new treatments and new cures. After working at a palliative care home in high school, Mariella knew she was meant for a role in healthcare. “Becoming a Health Care Aide has been honor,” says Mariella. 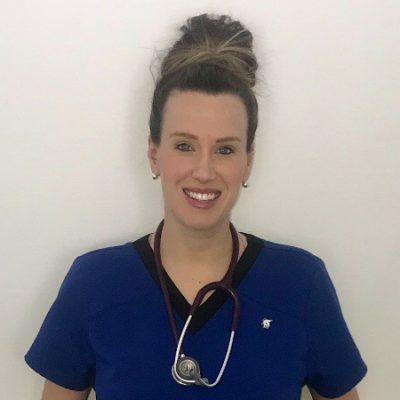 “There is something very special about caring for our most vulnerable because the good moments spent with this patient population far outweigh the negative moments and I believe that is what truly keeps me going in this line of work. My favorite part about being a nurse is probably the fact that I feel like I’m going to visit my second family each time I enter my unit. Working in partnership with my amazing co-workers is the reason I smile so much at work. For more information about our Guardian Angel Program, please call Lucy Januel at 613-798-5555 ext. 70025, or enter your details below to receive a response by email.